We have reviewed many keyboards here in AnandTech, both electronic (membrane) and mechanical. In today's market, most cost-effective keyboards are based on membrane designs, while more advanced keyboards are using mechanical switches that are either made by Cherry or, usually, are a "cloned" version of their products. Recently however we had something relatively rare shipped for testing in our labs - the i-Rocks Pilot K70E, a keyboard with unique capacitive switches. Capacitive switches are not something unique to this keyboard. 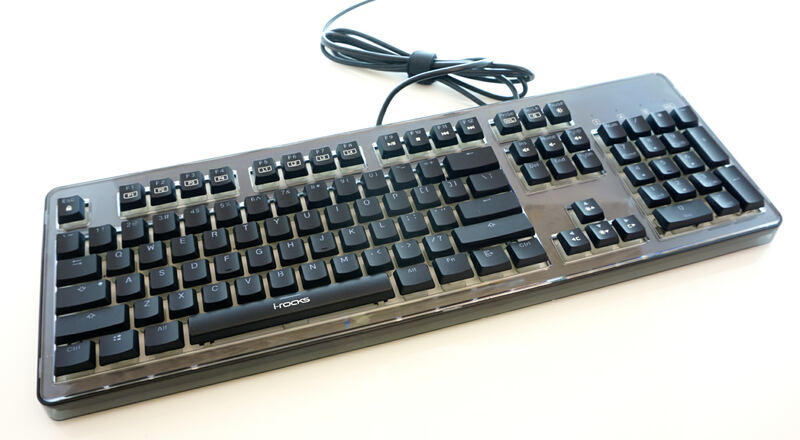 As a matter of fact, the current top-of-the-line capacitive keyboard switches were introduced by Topre several years ago. The problem with Topre-based products is that their prices are excessive, placing them well outside what the mainstream market can afford. The i-Rocks Pilot K70E keyboard that we are reviewing today has non-contact capacitive switches developed in-house by i-Rocks itself. The Taiwanese company's capacitive switches are available in two variants, 45g and 60g, with slightly different force-to-travel charts. The retail price of the Pilot K70E is rather steep, with the keyboard retailing at $150 at the time of this review, and yet that price is significantly lower than that of any keyboard using Topre's capacitive switches. 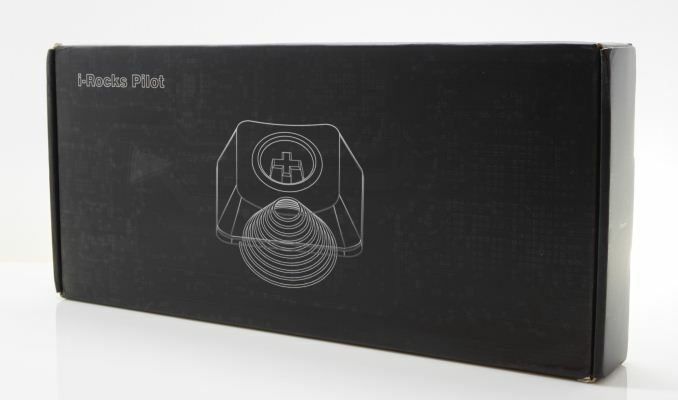 The packaging of the i-Rocks Pilot K70E is very basic, with the keyboard supplied in an all-black cardboard box. Only a very basic schematic of the capacitive switch is printed on the front side of the box. 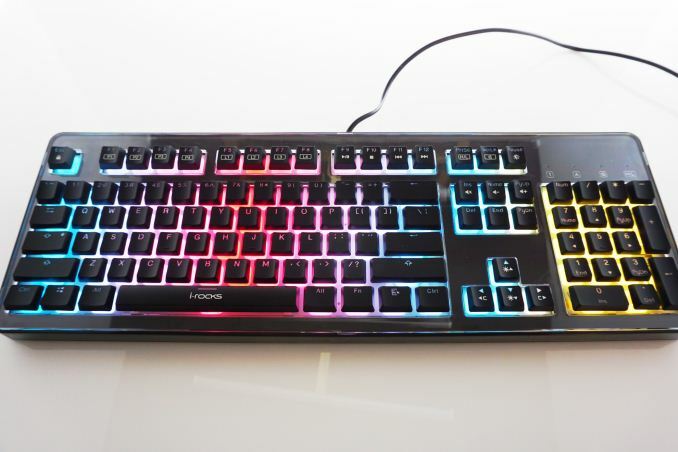 There is very little information about the keyboard or the switches, just a few colored sketches at the rear hinting that it features RGB lighting. Inside the box, we found the keyboard adequately supported by cardboard pieces and wrapped inside a soft foam bag. There is nothing bundled along with the keyboard - no keycap pullers, no accessories, not even a small manual. Anything using Logitech's Romer-G keys does this. I thought I would like the effect but in the end I prefer backlight bleed on floating switches. Unfortunately Logitech didn't make the letters on the keys very large so a lot of light is lost making it slightly harder to see. "That was a double-edged knife, as I ended up actuating keys unintentionally, by simply resting my finger on the keypad."